Volunteering is a GREAT way to GET INVOLVED with us, and support us. Not only that, it is well known that volunteers get much out of helping – they feel like they really make a difference and contribute to their own wellbeing. Many volunteers give their time to us each year and their time is invaluable. We have a number of vacancies. Please see the table below for further information. If you find anything that interests you, please complete and return the Volunteer Application Form, which you can find attached here. Adult Befriender (East and Rural Dorset) Adult Befriender Volunteer Role Description Vacancy - please apply A volunteer aged 18+ (no upper limit) and able to give a commitment of two hours a fortnight, during the day, evening or at weekends for a minimum of 12 months. Education in Mind Education in Mind Volunteer Role Description Vacancy - please apply Can you help us deliver assemblies and/or educational workshops in school? Fundraising and Events Team Leader Fundraising and Events Team Leader Volunteer Role Description Vacancy - please apply At specific events can you coordinate the work of the Fundraising and Events volunteer team and let people know about the work of Dorset Mind? 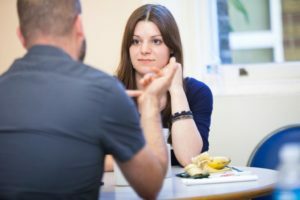 Fundraising and Events Volunteer Fundraising and Events Volunteer Role Description Vacancy - please apply At specific events can you help us raise funds and let people know about the work of Dorset Mind? Graphic Design Volunteer Graphic Design Volunteer Role Description Vacancy - please apply Do you have a good eye for design and able to help us with our online and offline marketing? Project Assistant Volunteer Project Assistant Volunteer Role Description Vacancy - please apply Can you help us with various on-going projects. If you can we would love to hear from you. Public Speaking Volunteer Public Speaking Volunteer Role Description Vacancy - please apply Do you have experience of mental health issues and feel able to talk to different groups about Dorset Mind's work? Strategic Project Assistant Strategic Project Assistant Role Description Vacancy - please apply Can you help Dorset Mind successfully deliver and manage strategic projects? Website Content Volunteer Vacancy - please apply Do you have the skills to keep our website up to date, informative and engaging for our audience? Wellbeing Group (Bournemouth) Volunteer Role Description Vacancy - please apply Can you welcome, engage with and help support members of our Bournemouth group? Wellbeing Group (Dorchester) Volunteer Role Description Vacancy - please apply Can you welcome, engage with and help support members of our Dorchester group? Wellbeing Group (Sherborne) Volunteer Role Description Vacancy - please apply Can you welcome, engage with and help support members of our Sherborne group? Wellbeing Group (Verwood) Volunteer Role Description Vacancy - please apply Can you welcome, engage with and help support members of our Verwood group? Young Person Befriender (East and Rural Dorset) Young Person Befriender Volunteer Role Description Vacancy - please apply A volunteer should be aged 18+ and able to give a commitment of two hours a fortnight, during the day, evening or at weekends. Our volunteers support us in a number of roles, and all are equally important to us. We simply wouldn’t be able to provide the services we offer without their help.